50 x Longdown Warren (hybrids) – hatched 07/10/18 @ £15.00 each. Please note that these chickens will come into lay in approx. 7-10 days time. Sorry, no chicks available at the moment. WE NO LONGER SELL CHICKS THAT REQUIRE HEAT. Please bring along a strong cardboard box/pet carrier/crate to transport your chickens in. The Farm Shop is open daily from 10am to 5pm. Click here to buy or contact us for more information. 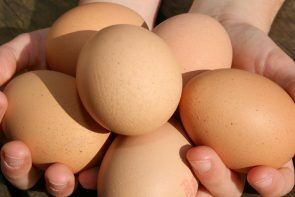 See Farmer Bryan’s Complete Guide for Keeping Chickens for information on choosing, housing, feeding and caring for your chickens. Contact us for more information or to place an order. 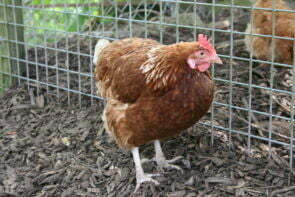 Visit the Chicken Shack at Longdown Activity Farm for a large range of poultry feed and goods. Entry and parking are free of charge.